The Who classic, “I’m Free”, has been remixed for inclusion in a commercial for Cablevision’s new Wi-Fi service plan, Freewheel. 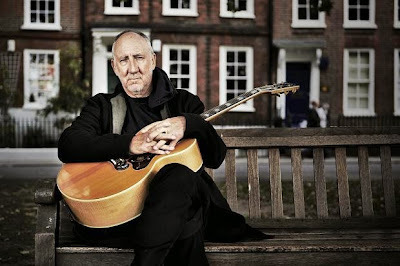 Ad Age reports the tune is one of 15 remixes of Who songs by production agency Mophonics for use in advertising and other licensing opportunities – with the blessing of creator Pete Townshend. "A lot of work went into these, especially because the respect shown by the remixes to the original songs and song shapes,” says Townshend. “I know that makes remixing harder, and less fun for them, but a lot of fun for me." "The idea of remixing the songs came about because Pete mentioned to his publisher, Spirit, that he had the original multitrack tapes for most of the band's classic songs," adds Kris Roggemann, creative producer at music-production agency Mophonics. There’s now talk that Universal Music is planning to release a remix album featuring songs by The Who as a way of introducing them to a new generation of music fans. Townshend and The Who recently played the first run of UK dates for their farewell tour, “The Who Hits 50!”; the band will launch the North American leg in Tampa, Florida on April 15.